Kano State is a state located in North-Western Nigeria. Created on May 27, 1967 from part of the Northern Region, Kano state borders Katsina State to the north-west, Jigawa State to the north-east, Bauchi State to the south-east and Kaduna State to the south-west. The capital of Kano State is Kano. The state originally included Jigawa State which was made a separate state in 1991.The state is one of the nicest cities to visit in Nigeria. It has been one of the most important trading towns for the Hausa, who had a big empire in the 18th and 19th century and are still one of the most influential people in Nigeria. It’s a bustling and interesting city that has grown at a frenzied pace in recent years. Formerly walled, most of the gates to the old city survived. The Old City houses the big Kurmi Market, known for its crafts, while old dye pits – still in use – lie nearby. Also in the Old City are the Emir’s Palace, the Great Mosque, and the Gidan Makama Mosque. Kano City Gates & Walls: During the reign of Sarkin Kano Usman Giji Masu Dan Wasiri, the grandson of Bagauda, the third King in the Habe dynasty he decided to build and surround the ancient city with a wall as protection against external invaders. This was in the year 1112 AD! Wall has attracted a lot of tourist both domestic and international. Kofar Matar Dyeing Pits: The Kano indigo-vegetable dyeing pits are one of the most fascinating aspects of the old city. Various designs are folded into the material before dyeing and the fabric is often beaten to achieve the shiny, indecent appearance. The techniques employed to obtain this look are unmatched around the world. And, although the methods they use are ancient, these lush works of art on fabric always remain extremely popular and continue to be in great demand. Emir of Kano’s Palace, Kano: Also known as “a settlement within a settlement”, the palace was created by Abudullahi Bayero, the father of present Alhaji Ado Bayero (Emir of Kano). This present day Emir of Kano’s palace provides an insight into the typical Hausa architectural design that has been existence for well over five hundred years. Gidan Dan(house) Hausa, Kano: This is an excellent example of Hausa traditional mud-walled architecture which was built in 1905 as the former and restored home of Hans Vischer, a Swiss – born teacher who contributed much to Nigeria’s education system during colonial times. He was appointed Director of Education for Northern Nigeria by the colonial authorities and by 1914 had established over 1,000 primary schools in the north including one in the grounds of the house. He was known as “Dan Hausa” “son of Hausa” because he spoke the language so well. Today the house is an interesting museum with rooms dedicated to arts and crafts, Durbar costumes and gowns previously worn by Emirs. The Durbar Festival: Kano State Durbar or Hawan Sallah as its locally called is a royal parade of thousands of men on horses adorned with garments and regalia. It is a colourful display of culture full of pomp and pageantry. A spectacular traditional concert and bazaar of African music. 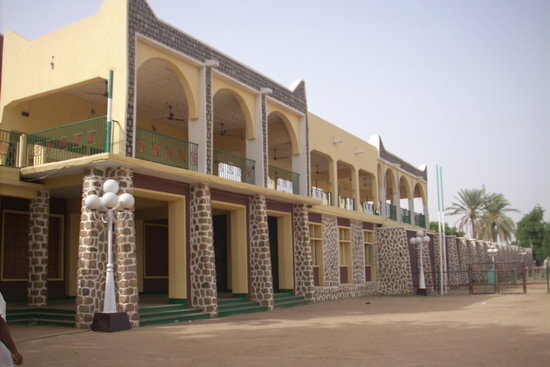 Gidan Makama Museum: Located opposite the Emirs Palace, Gidan Makama is a palace built in the 15th century by the 20th Emir of Kano, Muhammadu Rumfa (1463-1499). The well maintained compound is great example of the palaces built by the aristocrats who ruled the medieval Sahel. The building’s windows were designed to maximize ventilation and the pillars and gateways are decorated with geometric designs picked out in white. Inside the rooms, white-painted ribs and columns support roofs of split palm wood. Kano State History Museum: This history museum at Gidan Dan Hausa house has a collection of artifacts from Stone Age to present day within the colonial house of the governor from the 1900′s. A friendly tour guide will explain all objects to tourists. Mallam Kato Square, Kano: This square in Kano metropolis is a recreation centre erected on a piece of land initially settled by a Quranic mallam who, when displaced by the British colonial powers, prophesized that no Hausa would b erected there. Dala & Goron Dustse Hills: The two hills are undulating landscape around Kano, both within the circumference of the walled city. The two hills provide full view of the horizon around the state capital from their tops. Hence, visitors often climb the hills for what may be described as the aerial view of Kano city and the expansive land beyond. Dawakin Tofa Pottery: In Dawakin Tofa you can see pottery making at its best. Almost every citizen at Dawakin knows this art and it is still practiced in most homes. MINJIBIR WEAVING CENTRE: This is an area where the ancient weaving industry still thrives. Walking through this typical African Village, you can watch local weavers at their daily work. Mr Bigg’s: This is another popular fast food chain with outlets across the state as well as the country serving pastries, snacks, burgers and hot meals to families, teenagers, and corporate customers for nearly twenty five years. Address: Check out their website for outlet details. Kurmi Market: Kurmi market is one of Africa’s oldest local markets. It is located in the old city and is a maze of narrow alleys where you can find pretty much anything, shop for everything from carvings, calabashes, to jewellery, brass works, leather goods and pottery.